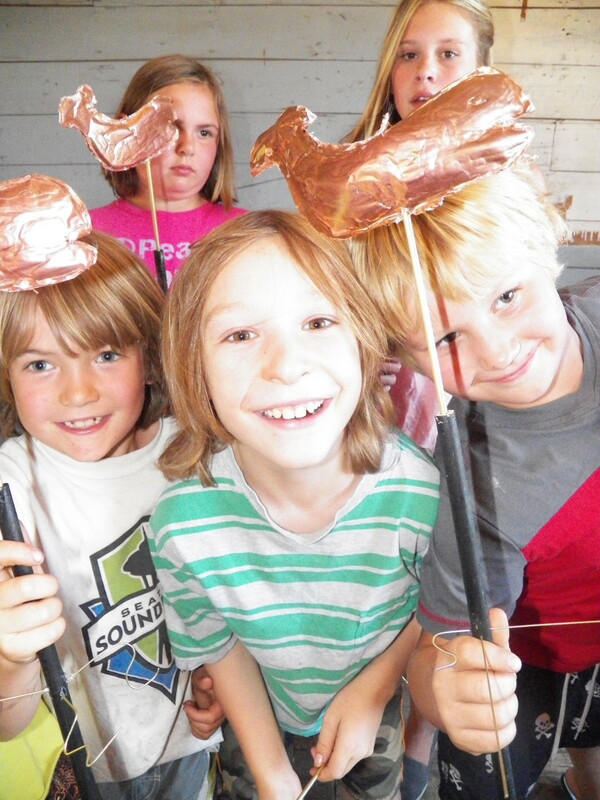 Register early for Summer Camps with Confluence Gallery. DAYS: Tuesdays, Wednesdays and Thursdays of each week, 10-2pm. COST: $150/per camp session, includes supplies. Scholarships may be available for teens ages 13-15. Run away and be a traveling player for week right here at home! This class teaches and inspires creative storytelling, musical composition, costuming and performing as street theater. Learn about the carny, cabaret, circus, traveling player tradition … putting the elements together to create a show. Find your unique talents and rehearse and perform with a company of players traveling to various locations in Twisp and Winthrop. Come make flags, cards and a t-shirt with the power of the sun. Join Laura Gunnip for a sun printing extravaganza creating unique one of a kind artworks using natural objects collected from our river walk treasure hunts. Bo Thrasher – Felt and Things! Campers will learn to make wall hangings and masks with wet felting techniques and explore needle felting, collecting natural materials to add to their creations on a field trip to the river. Margaret Kingston – Paint, Paint, Paint! With 3 days of painting projects this hands-on summer camp will produce lots of painting techniques, practice, and some beautiful artwork to hang on the wall. It’s messy, fun, and active so dress for the occasion in work clothes and sneakers. Jody Olson – Selfies and Beyond! Who are you? What do you love? Imagine? Dream? Selfies and beyond will used mixed media to create masks, sculptures, collage, drawing , painting, repurposing – mix and match into Crazy! Zany! Totally creative FUN! Instructors may take students on walking field trips in Twisp for inspiration or to collect materials. Students required to bring their own water, lunches or snacks and have swim gear and sun protection. Register through Confluence Gallery 509.997.ARTS info@confluencegallery.com. Class sizes are limited. Early registration is recommended.